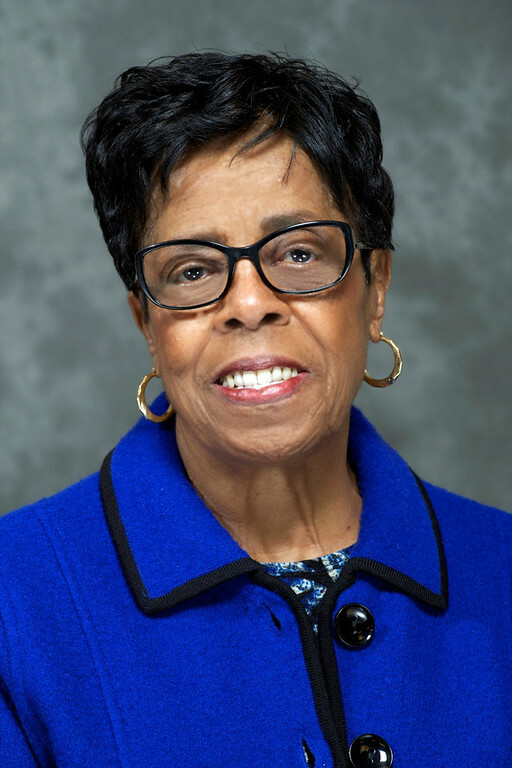 Retired teacher, trailblazer and longtime state Sen. Earline Rogers was honored for her lifetime of public service by Indiana State University Thursday evening. University President Dan Bradley presented Rogers (D-District 3) with the President’s Award for Distinguished Public Service and Outstanding Achievement at a reception at Wicker Memorial Park Social Center in Highland. Rogers announced earlier this year she won’t seek re-election in November, ending more than 30 years of service in the state legislature. A lifelong resident of Gary, Rogers spent 38 years teaching in the Gary Community School Corporation and today works as an education consultant. She was elected to the Indiana House of Representatives in 1982 and served until 1990. Entering the state senate in 1991, Rogers currently serves as the ranking Democrat on the Senate Education and Career Development Committee and as a member of the Senate Appropriations Committee, a panel instrumental in crafting the state budget and school funding formula. Known for being an effective leader, she also serves on the Indiana Education Roundtable and the Senate Homeland Security, Transportation and Veteran Affairs Committee. Rogers has also been at the forefront of major education changes, including the A-Plus reform package, the implementation of ISTEP and anti-bullying legislation. Rogers also authored “Jojo’s Law,” which requires vehicles for 10-plus passengers used by public schools, preschools and licensed day care centers to meet the same safety requirements as school buses. Rogers proposed the law in response to an accident that killed Gary pre-schooler Jojo Wright. In 2010, Rogers authored “Heather’s Law,” which requires the Department of Education to develop models for Indiana schools to better educate students about dating violence, in response to the death of Heather Norris in 2007. Prior to her service on the state level, Rogers spent two years on the Gary Common Council, where she was the first woman elected president. She was the first African-American to serve as vice chairman of the Indiana State Democratic Party. She served as a member of the executive committee of the Democratic National Committee. Rogers also served as the District 1 coordinator for Barack Obama’s 2008 presidential campaign. Rogers and her husband, Louis, a retired firefighter, have two children. Retired teacher, trailblazer and longtime state Sen. Earline Rogers was presented with the President's Award for Distinguished Public Service and Outstanding Achievement at a reception on Thursday at Wicker Memorial Park Social Center in Highland.